Auto insurance protects against risks drivers face from car ownership and from driving. These risks can become realities at any point, so being prepared is critical. A comprehensive auto policy can help you be prepared and ultimately give you peace of mind. At Valley Oaks Insurance Agency, we understand the risks that drivers face. We have more than three decades of experience managing these risks and helping clients through claims processes. Our experience, vast claims network, and ongoing relationships with diverse groups of insurance companies help us provide optimal coverage while keeping premiums low. They also help us move through claims quickly and efficiently. Our approach is collective. We work with you to understand your needs and match these needs with ideal policies. Our goal is to provide optimum coverage at the lowest price and we achieve this with every policy we write. However, our primary concern is your protection. For this reason and others we educate you and consult with you regularly to ensure that your policies are current. We’re available to you when, where, and how you need us, whether it’s online, over the phone, or in person. Auto insurance covers a vast array of car-related and driving risks, including new care replacement, rental coverage, and collision. Most auto policies offer a minimum level of coverage that is fairly common from company to company, like liability coverage for example. There are additional levels of coverage that one can add to policies to ensure complete protection. These additional coverage options include personal umbrella, comprehensive damage, and towing and labor. Adding additional coverage options ensures that your auto policy is complete. At Valley Oaks Insurance, we provide an extensive selection of additional coverage options. 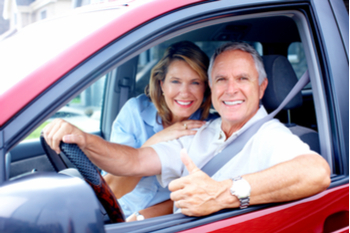 Selecting the right coverage for an auto policy can be complex and often difficult. For this reason and others it is important to speak with a specialist. Specialists have specific knowledge and expertise that can make the insurance-purchasing process mush easier for you. At Valley Oaks Insurance, our specialists have years of experience managing auto risk and developing optimal policies. They will educate you about your needs and how to match these needs with the best policies. They will also stay in contact with you to ensure that your education is ongoing and to ensure that your policies are current. We have more than thirty years of experience delivering auto risk solutions. Our longstanding relationships with diverse groups of insurance companies and our wide claims network allow us to provide the greatest coverage while keeping premiums low. Coupled with our experience, these things also allow us to process claims quickly and guide you through claims processes efficiently. We are first and foremost a service agency, which means that we provide pleasant and fruitful experiences before anything else. From your first inquiry to long into the future, we communicate with you openly and informatively. This kind of communication is the cornerstone of our relationship with you, which we want to be ongoing. We pride ourselves on providing exceptional customer service but we blend this service with proper and effective insurance solutions. The blend of our communications with you and our institutional knowledge makes for a relationship from which you continuously benefit. You are properly protected and have an insurance provider you can count on and trust. We provide car insurance to drivers in Roseville, Sacramento, Lincoln, Granite Bay, Rancho Cordova, Folsom, and surrounding areas.